I am a beginner to Bonsai's. 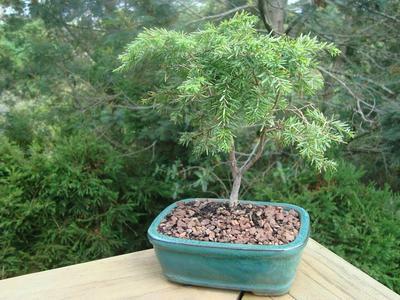 My first bonsai was a Totara Podocarpus. It is really easy to look after and is a very healthy bonsai. Its leafs are thin, green and easy to look after that why it was my first bonsai. The shape I am growing the Totara is broom. 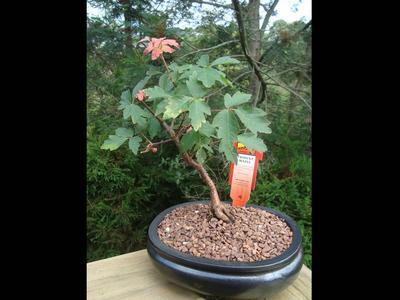 My second bonsai I got was a Trident Maple. This bonsai is a Japanese Bonsai. In Autumn its leaves will change colour and develop an interesting foliage. Its root structure is also very interesting. This Bonsai is a little bit harder to look after. The shape I am growing the Trident is slanting/windswept. Great choice for first bonsai. I really like maples especially in autumn!